To celebrate its 20th anniversary Changeling Theatre will be joining us at the vineyard to performing the most famous Shakespeare play of them all, Hamlet. Hamlet is a young man with everything going for him. A wealthy prince, successful student, living the good life overseas, bright future ahead. 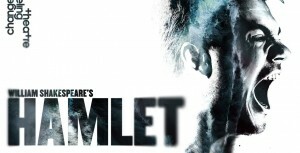 But when word reaches him that his father has died suddenly, Hamlet’s world starts to fall apart. Returning home he finds his mother Gertrude has remarried his uncle, and Hamlet’s rightful succession to the throne has been snatched from under him. Everything in his universe has changed, and he struggles to understand it. Hamlet faces a difficult choice: to accept this new reality or to rebel against it. Never out of season or fashion, William Shakespeare’s Hamlet is a story of human mortality and struggle, and the frailty of human relationships. It’s a brilliant, relevant play for modern times and always popular with theatre audiences. Alex Phelps takes the title role in Changeling’s dynamic production. 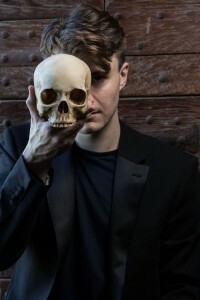 Set in the Kingdom of Denmark, the play dramatises the revenge Prince Hamlet is called to wreak upon his uncle, Claudius, by the ghost of Hamlet's father, King Hamlet. This is Shakespeare's longest play, is considered among the most powerful and influential tragedies in English literature, was one of Shakespeare's most popular works during his lifetime and is responsible for the immortal lines "To be or not to be: that is the question:". 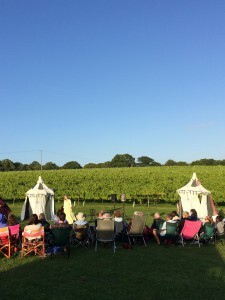 Bring your picnic blankets along to celebrate the Changeling's 20th anniversary and enjoy the play with the summer evening sun and vines in the backdrop. We will be setting up a bar where you can buy drinks to enjoy throughout the performance, with ice-creams in the interval. Tickets will be available from Changeling, please click here to be directed to their website.